What is Fair Use, and when does it apply? Battles are waged in the market and lawsuits are filed all in the name of trademarks. You might have heard about the case filed by Nike against counterfeiters, and you have read in the papers the temerity of other fly-by-night businesses of copying the marks and names of successful companies. So what's with trademarks that stir up a storm of lawsuits and battles? Trademarks are enormously valuable business assets. 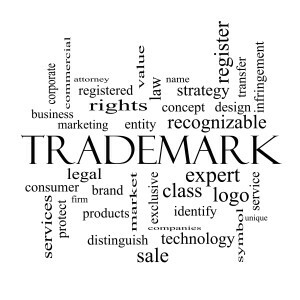 They can be considered as the face of any business or organization online and in the market Trade- and Servicemarks can in fact, make or break a business.That is the main reason why the best and well-known trademarks in the market are so often imitated or “knocked off”. But what exactly are trademarks and why all this noise? A Trademark is a distinctive word, symbol or phrase be used to represent any good, that is affixed to goods and used to distinguish one product from the other. The best trademark is one that is easily remembered in the market; something that consumers will remember even if they've seen the logo or mark only once. These marks are often registered with the United States Patent and Trademark Office (part of the Department of Commerce) in order to protect trademark rights more comprehensively than for unregistered State and common-law markes. Once a business has acquired and registered these rights, it can prevent other entities from infringing on the marks and from offering goods that are branded in a confusingly similar way. Once a mark isregistered with the USPTO, it will remain property of the business for as long as the company continues to use it. Trademarks don't expire. Rights can remain enforceable indefinitely as long as the mark is not abandoned, and the owner takes steps to renew the registration and monitor use of the mark. This is rather different from copyright and patent protection where the rights will expire after a certain amount of time. To renew a trademark, the owner must file affidavits of Continued Use or Excusable Non-Use periodically once the registration has been confirmed. Filing, while not extraordinarily difficult is somewhat complex, and should be handled by an experienced professional. Trade- and Servicemarks can be indicated by using several types of notation. Two of these notations are ‘TM' and ‘SM', respectively and which are used prior to the completed registration of the trademarks by the USPTO. Then, once the marks have been approved, you can now use the circle-R indicator ® to indicate that the mark is registered. Registering trademarks is an important step that should be taken to secure protection against misuse and infringement. but it's not the only step to take. It is businesses monitor how their trademarks are used by their customers, vendors, distributors, and competitors. Further if the business does business in other countries, it is wise to consider filing one or more applications on the international stage. If you have a business or brand that is distinctive and sets you apart from the rest, you need to consider registering your trademark(s). Our office can help, and we'll be glad to schedule a brief consultation to evaluate the registrability of your marks, and suggest other approaches to protecting your business. Just visit https://firemark.com/appointments and select a suitable day and time.